Playground Swing Set Just $19.95! Down From $40! You are here: Home / Great Deals / Amazon Deals / Playground Swing Set Just $19.95! Down From $40! Hurry over to Amazon where you can score this Playground Swing Set for just $19.95 down from $39.98 PLUS FREE shipping with Amazon Prime or for orders $25 or more! Enjoy many exciting hours of backyard family fun with JGK’s playground swing set seat, enjoyable for kids and adults. 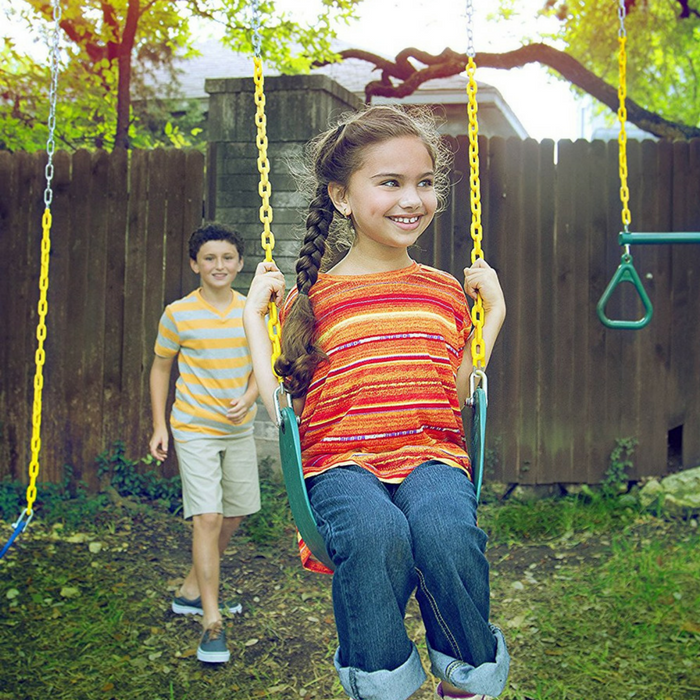 A comfortable swing seat is a vital part of your outdoor swingset accessories. It can be used as a tree swings seat or by easy connection for Jungle Gym Kingdom swing hangers. FUN outdoors for kids, friends and adults enjoy your new single swing set accessory parts or replacement swing seat on their playground, a must have DIY swing set attachment!